Liza Anne’s ‘Fine But Dying’ is a lightning strike of enchanting musical energy. Before, in 2014, she released her wonderful debut ‘The Colder Months,’ followed by ‘Two’ a year later. They were filled with fantastic tunes and a wonderful atmosphere. ‘Paranoia’ was a huge and awe-inspiring change of pace for the dominantly-folk musician. She mastered a brilliant new sound without losing what made her special in the first place. So many wonderful trinkets are buried in that treasure chest of a track, and that same feeling of fascination extended into her third work. Artistically, this is the best we have seen Liza. She explore so many bold and powerful topics, and ventures into a variety of new sounds. ‘Small Talks’ is a great exposition on the painfully shallow conversations we all wish we didn’t have to endure. While said track is presented in a more playful way, the following is a powerful and more serious statement. I haven’t seen someone explore the topic of a ‘Panic Attack’ in such a gripping and real way. This highlight gives one of the many vivid views into the mind of Liza, and the trials she goes through. This record proves Liza knows how to structure a track. She manages to fill the run time with unpredictably beautiful moments and soul-quenching conclusions. Songs such as ‘Closest to Me’ and ‘Turns for the Worse’ are tracks that delve into complex emotions while maintaining the wit she displayed on lighter tunes, such as the clever and fun ‘Socks.’ Closest and Turns analyze similar situations through the mind of one person and between two lovers. Within these tracks are lyrical gems such as ‘warming up to my cold shoulder’ and ‘don’t wanna empathize, it’s too late at night.’ ‘Turns for the Worse’ and ‘I Love You, But I Need Another Year’ have two wonderfully unique showcases of the magic a guitar can create. I Love You gifts us with an attention grabbing solo, and Turns holds a moving and captivating three minutes of pure instrumentation. Afterwards we have ‘Kid Gloves,’ the most hard hitting track on the album alongside ‘Paranoia.’ They both share an enticing edge, and ‘Kid Gloves’ emits so much confidence while singing lyrics from the mental state an unapologetic and independent icon. ‘Get By’ is an example of the wonderful use of mantras in this album with the line ‘distract ourselves into thinking we make sense.’ ‘Control’ and ‘I’m Tired, You’re Lonely’ are the two most sonically poignant moments on this record, and the latter of which is my favorite. On ‘Control,’ Liza’s voice and the acoustic guitar have an indescribably stunning connection. They follow and compliment one another throughout a track framed as an intimate reflection on one’s self. Lastly, ‘I’m Tired, You’re Lonely’ is an exquisite close to this magnificent record. 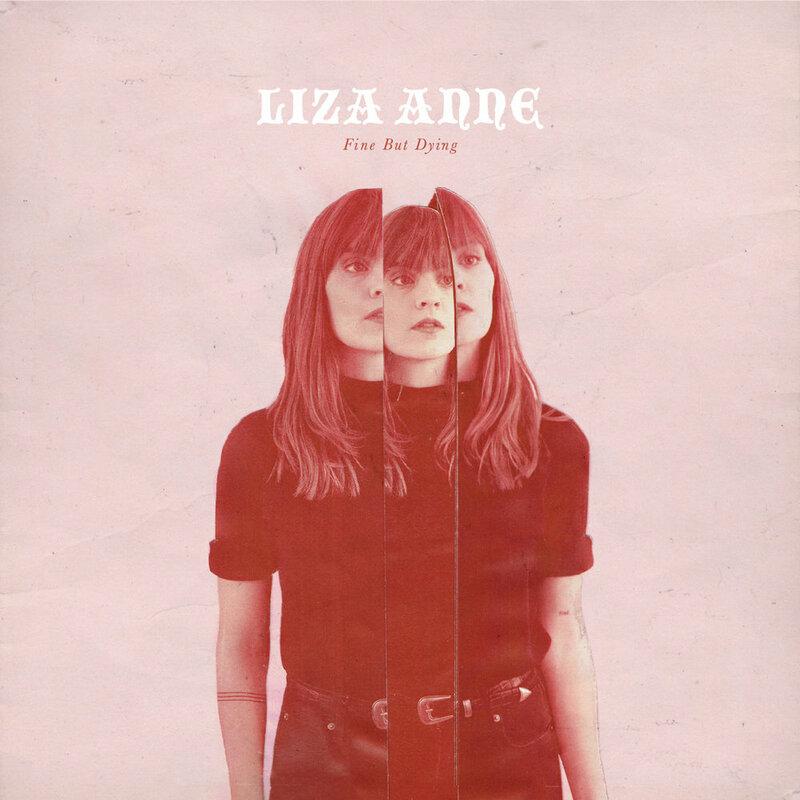 Liza’s voice is at its most prominent and bare, delivering heart wrenching lyrics of inconsolability and emptiness. This record has an overall theme of communication, or a lack thereof. It’s hard to not quote every lyric on this record due to the wonderful and insanely memorable writing. Liza keeps you on your toes, never rehashing the same sound, but managing to keep it brilliantly cohesive. The unique way she tackles the subject matter was masterfully done. This is the musical equivalent to a cinematic character study, and I can’t wait for others to immerse themselves in this work of art. Listen to Fine But Dying here. Dorian Gray by Michael K.